ASABA— The Delta state High Court on Tuesday, 25th April, 2017, ordered for the immediate release of three out of seven illegally detained members of the Indigenous People of Biafra, IPOB, for lack of proof of evidence in the allegation slandered against them by the State Police. 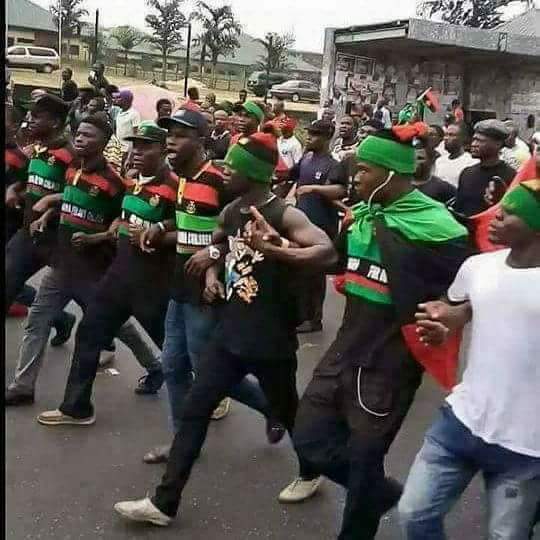 According to our source from Asaba, the Biafra agitators were arrested and detained during one of the IPOB protests on 15th June, 2016, in Asaba and were later charged to court on the purported murder of some Nigerian officers and security operatives. The names of the IPOB members granted bail are Obiakonwa Chisom, Iheanacho Joseph and Ifeanyi Ani. Barrister Ifeanyi Ejiofor who is their defense counsel was in Asaba earlier this year, on the 10th of February, for the hearing, but because the adjourned date clashed with the same day the IPOB leader, Nnamdi Kanu, was granted bail at an Abuja Federal High Court, he had to assign the case to one Barrister Ezeokeke Augustine, Esq. After the hearing on their bail applications, the presiding judge, separated dates for their ruling in which only three out of the seven defendants were taken to court last Tuesday and was granted bail. The judge thereafter, adjourned ruling for the remaining four defendants on the 2nd and 4th of May, 2017. Speaking to Biafra Writers on the court’s ruling for granting the accused bail, the defense lawyer, Barrister Ezeokeke said; “It is my view that the learned trial judge, Hon. Justice Azinge, exercised her judiciary discretion in a judicious manner, having regards to the facts and evidence presented before her and not minding the heavy nature of the offence(murder), which is a capital offense, because it is a settled law that bail is at the total discretion of the court whether or not it’s a capital offence.